The ownership of electric vehicles is on the rise and as a result, various benefits of the EV Charger have also arisen. The UK has the 4th highest number of electric cars in Europe with over 195,000 electric cars and 8,500 electric vans on the road this year. By 2020 it is predicted that over one million electric vehicles will be on the road in the UK. However, this means the number of electric vehicle chargers available to use on the roads will have to increase six-fold. Currently there are 19,804 connectors available to use in the UK at destinations such as service stations and supermarkets. The highest number of chargers are located in Greater London. What are the Benefits of EV Charging? By 2020 there will need to be over 100,000 EV chargers on the roads available for public use, in order to meet the demands of the number of electric vehicles on the road. The government has launched several schemes for residential and commercial properties to try and make the demand for EV chargers more affordable. By owning an electric vehicle, you will be reducing the amount of air pollution you produce, which is great for the planet and great for the air of Great Britain. However, “Range Anxiety” is still an issue for many EV owners. The fear of setting out on a journey but running out of charge, or not being able to find a charger before reaching their final destination, is something that puts off many drivers from owning an electric car. Luckily, with sites like Zap Map, EV owners can find the nearest EV chargers to them and plan their journeys accordingly. “Range Anxiety” can be curbed by installing a home charger. 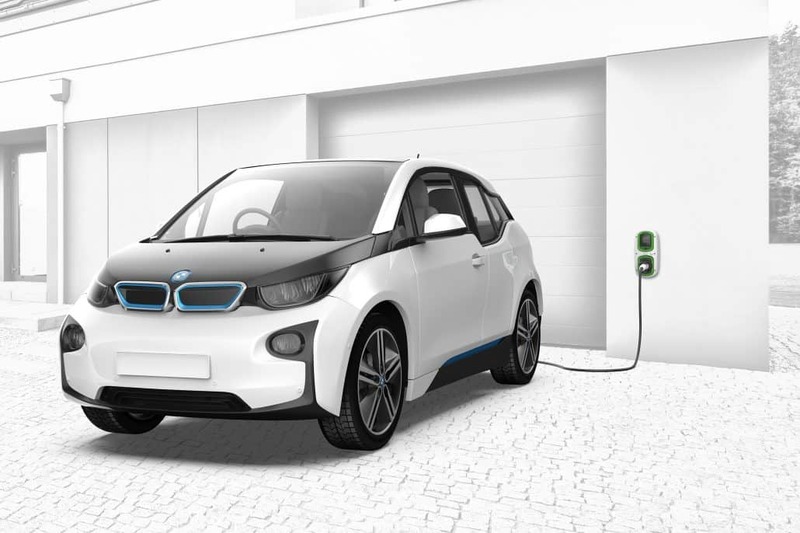 There are many benefits that come with having an EV charger installed at your home. They are far more convenient to use in comparison to public use chargers and are also very cost effective. Some Electric Car owners say they are put off having an EV charger installed at home due to the price. However, the government have a grant for home owners that will cover the cost of 75% of the installation costs, so long as the charger is selected from the pre-approved list. This could save you hundreds of pounds. Charging your Electric car from home is generally far cheaper than charging your car at Rapid Charge points at the service station. The average cost to fully charge your car is just over £3. For example, to fully charge a 30kWh Nissan LEAF overnight will cost about £3.96. Whereas, if you were to use a rapid charging point, typically found at service stations, it generally costs about £6.50 for a 30-minute charge. Having an EV charger installed at home is far more convenient and time effective than relying on public use chargers. Depending on where you are in the country, coming across a public charging point can be rare. Charging points have not yet been installed in every service station and supermarket, in fact currently only 3% of Supermarkets have chargers, this means you can spend a large amount of time driving around to find a charger. If their charger is out of order, you’re not first in line for the charger or it’s not a rapid charging station, you could find yourself waiting around for hours until your car is charged. Being able to charge your car from home means you would be able to save yourself time and money. Home chargers are generally much faster than regular public EV chargers. Depending on the size of the EV charger, your car can be fully charged in as little as one hour. This means you could be on the road with a fully charged battery much quicker than if you were to use a public charger, unless you were to use a rapid charger which are not cheap to use! Depending on which brand of EV charger you opt for, you can choose the colour of your EV charger. 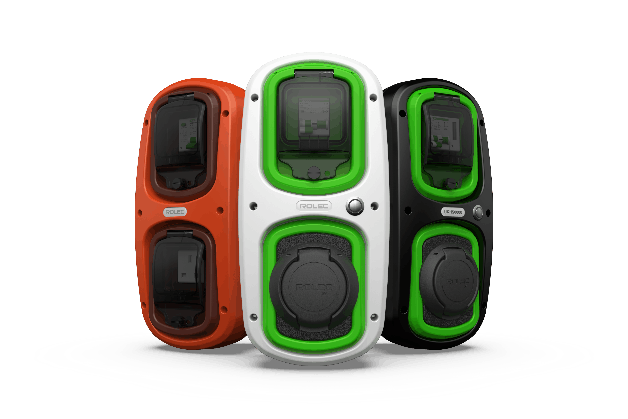 For example, the Rolec Wallpod: EV comes in a variety of colours, so you can choose a charging point to match the colour of your car, door, house or just choose your favourite colour. Prices for the Rolec Wallpod: EV start from just £129, they are also approved for the OLEV government grant, making it significantly more affordable. Every year more people have chosen to swap their petrol or diesel vehicle for an electric or hybrid vehicle, which means the demand for charging points becomes higher. Having an electric vehicle charging point installed at your home could add value to your property, thereby making your property more attractive to potential buyers if you choose to sell. If you decide to move, most chargers are easy to relocate. The benefits of having an EV charger installed don’t just extend to home owners. There are many benefits to having an EV charger installed for business owners. If your business can provide charging points for the public to use it will put your company on the map. There are a number of government schemes that can help your business afford to have EV chargers installed at your establishment. Having EV charging points can bring in an additional stream of revenue for your business. Many EV charger providers have chargers specifically designed for commercial properties, thus having the option to have a ‘Pay as You Go’ feature installed. The more electric vehicles there are on the road means the need for public charging points gets higher. Having an EV charger for public use installed at your business premises could be a very lucrative investment. Having a public EV charger can gain your business more foot fall. Electric Vehicle owners use apps such as Zap Map to plan their journeys around where public use EV chargers are. This means your establishment could be a potential stop for EV owners to charge their vehicles. Whilst waiting for their vehicles to charge there is a high chance you could gain a new customer, as they will be tempted to browse/use the facilities that your establishment offers. This will give your business a chance to make an impression and gain a new client base. Your business image could be vastly improved by having public use EV chargers installed. You would be seen as encouraging the use of electric vehicles, thus making your business known as being environmentally aware. This will attract environmentally conscious clientele to your establishment. If staff and visitors have the option of being able to charge their vehicles whilst inside your establishment you could see a boost in both employee and visitor satisfaction. 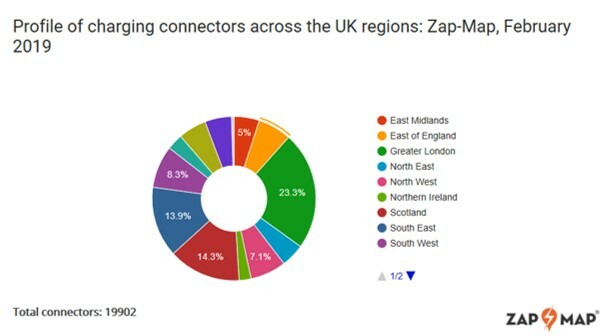 Currently, many EV owners have to plan their journeys around Zap Map destinations to ensure they don’t run out of charge, if they can charge their vehicles at your establishment it could save them time. Thus, you will have a higher retention rate of both staff and customers. EV chargers provide benefits for both home owners and business owners. They will not only save money, but they can add value to a home and add a new stream of revenue to a business. With all the benefits they provide, we believe that the installation of an EV charger should be considered as an investment rather than a cost.